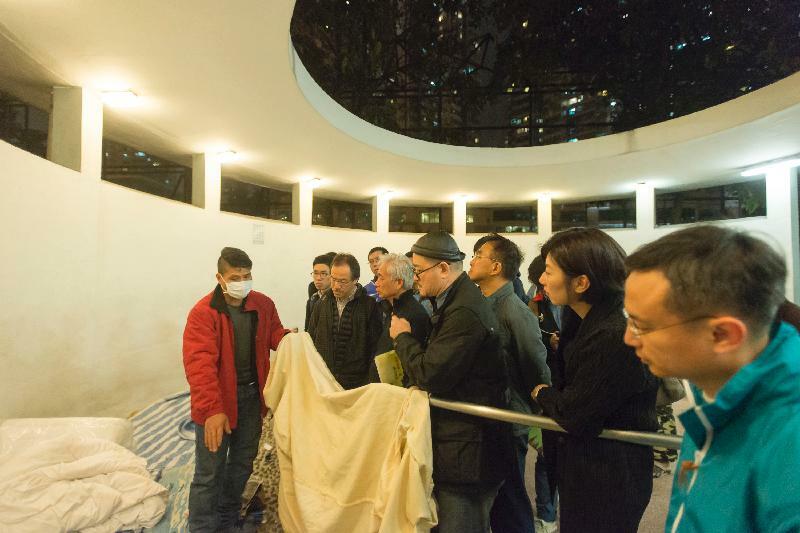 Eight lawmakers visited homeless people in Kowloon’s Sham Shui Po district on Monday night, amid fresh accusations that officials have been evicting them and seizing their property in late-night operations. Homeless people living near Sham Shui Po’s Tung Chau Street and a tunnel near Nam Cheong MTR Station were featured in videos posted by pro-democracy legislator Lau Siu-lai on Sunday evening. They claimed that Food and Environmental Hygiene Department (FEHD) officials, together with the police, told them to leave the area in the middle of the night. Monday night visit by lawmakers. Photo: GovHK. In the videos, homeless interviewees claimed that their wallets, mobile phones, clothing and other personal belongings were confiscated by the police. They said that if they attempted to retrieve their belongings, they would be charged with theft. They added that the clearance operations have been conducted on five occasions recently – once every month since last October. Despite these conditions, interviewees in Lau’s videos said that they had few alternatives. One said that it was difficult for homeless people to sleep at a nearby shelter in Sham Shui Po, because it was infested with woodlice and was badly managed. In 2012, 19 homeless people filed a lawsuit against the government alleging unlawful confiscation of property. 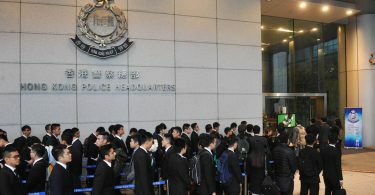 The government to paid them HK$2,000 each in compensation. In its response to HKFP, the police confirmed that it has been involved in “street management” operations in recent months, but denied seizing any belongings of homeless people at Tung Chau Street and Nam Cheong Station. “Police provide assistance to relevant government departments on joint operations regarding the enforcement on street management, including ensuring the public order and public safety at scene,” a said. The FEHD told HKFP that it was responsible for maintaining environmental health, clearing rubbish and abandoned items, and cleaning public places. Since last October, it has engaged in 18 joint-department daytime operations to improve environmental health at Tung Chau Street and Nam Cheong Station, but did not respond as to whether any were conducted at night. 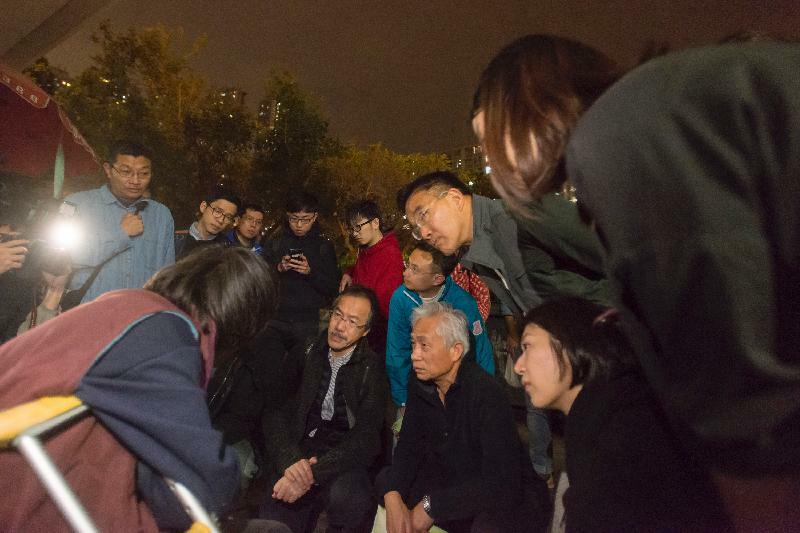 On Monday night, Lau joined seven other lawmakers in another visit to homeless people in Sham Shui Po. Lawmakers from both the pro-establishment and pro-democracy camps participated in the visit, which was organised ahead of a Legislative Council discussion on social welfare service support for street sleepers on February 13. 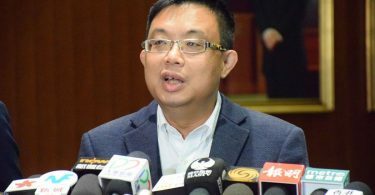 Pro-establishment legislator Michael Tien Puk-sun told InMedia after the visit that the government should consider placing control mechanisms on home rents. According to statistics from the Social Welfare Department, there were 881 homeless people in Hong Kong as of the end of 2015, of which 373 lived in Sham Shui Po district. In an interview with The News Lens, however, the Hong Kong Social Workers Association said that these figures were probably underestimations, because they did not include those sleeping in homeless shelters or 24-hour fast-food chains. People who did not sleep at the same spot for seven consecutive days were also not included. A survey organised by the City University of Hong Kong put the homeless figure at 1,614 as of October 2015. Wanna reach the Chinese internet market? Time to register your domain in China. Sport for all: Has a golden age of mass sport participation finally arrived in China?